Price is obviously one of the biggest considerations when it comes to buying real estate in New York City, with the dreaded down payment functioning as a major roadblock. 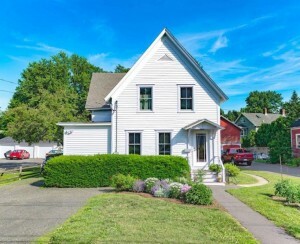 It's no wonder then that New York is the third most expensive state, when comparing the average down payment amount with a 30-year-fixed mortgage, according to a new report from LendingTree. The average down payment offered by buyers in New York State is $90,318. Only California ($97,809) and Washington, D.C. ($91,397) rank higher. The report covers conventional 30-year-fixed mortgage offers that borrowers received on LendingTree in the third quarter of 2018. When comparing the percentages put down, New York fares only slightly better, coming in fifth, with 19.85 percent as the average down payment. That’s a decline of .30 percent from the prior quarter. California also tops the list for this comparison, with 21.44 percent down. Filling out the top five are Hawaii (21.32 percent), Delaware (21.29 percent), and Colorado (20.44 percent). New York also comes in third when looking at the average loan amount offered ($454,968), with D.C. on top this time ($460,685), followed by California ($456,146). The national average down payment by percentage remained relatively steady, rising .03 percentage points from 18.02 to 18.05 percent. 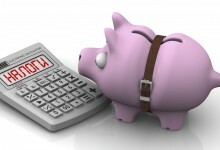 Average amounts put down, however, decreased nearly 10 percent in the third quarter, falling from $52,480 to $47,265. The average amount banks lent also fell about 10 percent, from $285,903 to $257,749. 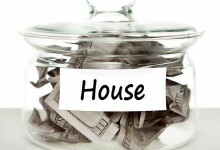 This could mean that home prices are on the decline, at least as an average. Actual movements depend on your market. The states with the lowest down payments, by amount, are West Virginia ($21,415), Arkansas ($136,505), and South Dakota ($120,529). By percentage, they are Alaska (15.41 percent), West Virginia (15.44 percent), and Mississippi (15.78 percent). 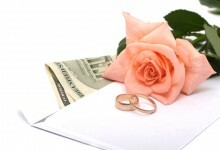 Is it okay to ask guests to contribute to your down payment as a wedding gift? Dear Ms. Demeanor: My neighbor's cooking sets off her smoke detector and I'm worried about a fire. What can I do?